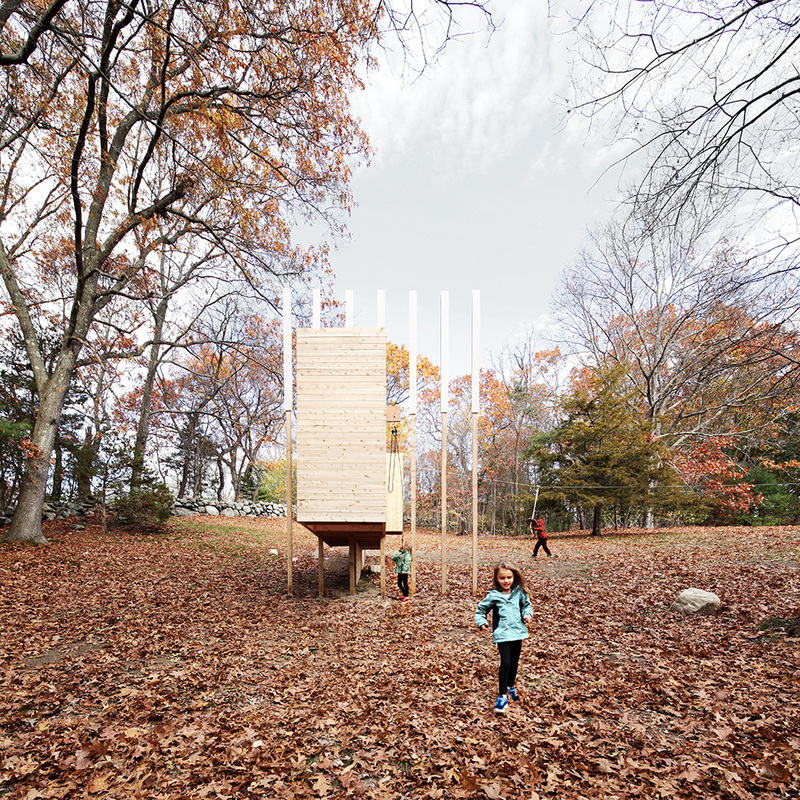 This play structure is situated on the sloping landscape of a mid-century modern common land, where neighborhood kids enjoy a shared backyard. The Architects Collaborative designed and developed the Five Fields neighborhood in the early 1950s hoping to foster community by creating a piece of shared common land. In the ensuing 60+ years homeowners have come and gone but the community and its care and appreciation for the common land remain. 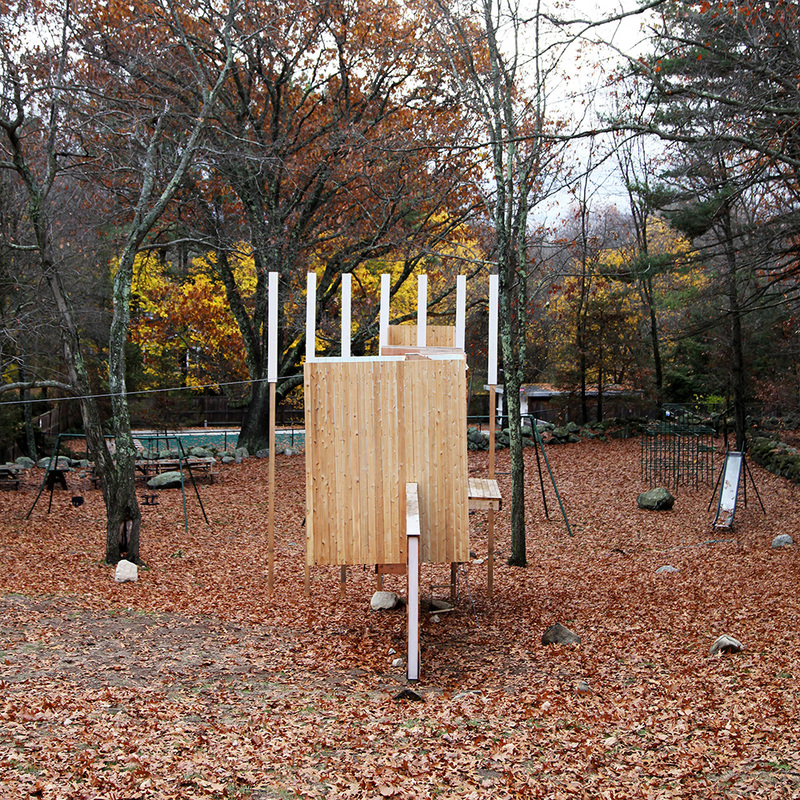 TAC conceived the neighborhood as an experiment and the community, wishing to keep the experimental spirit alive, requested a structure that is both safe and exhilarating for the kids. 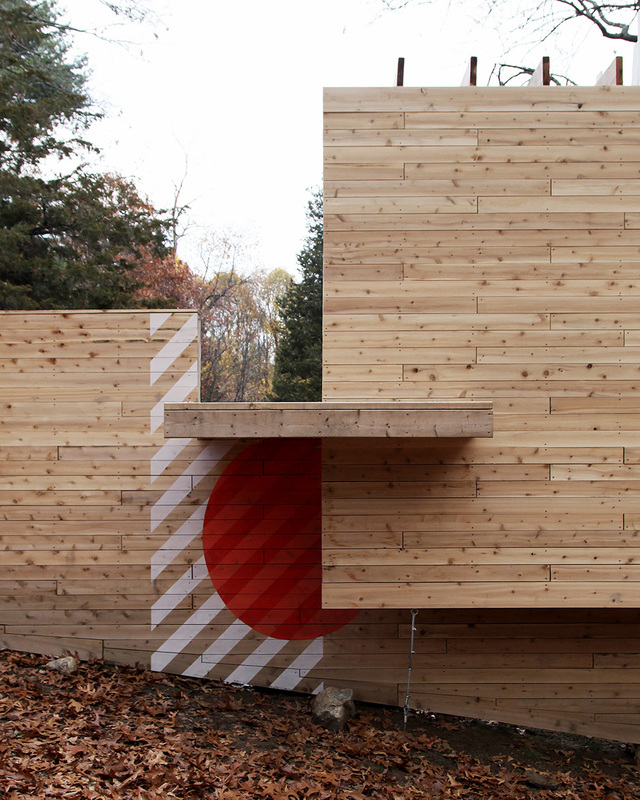 They wanted something that would challenge the kids without any singularly functional elements. 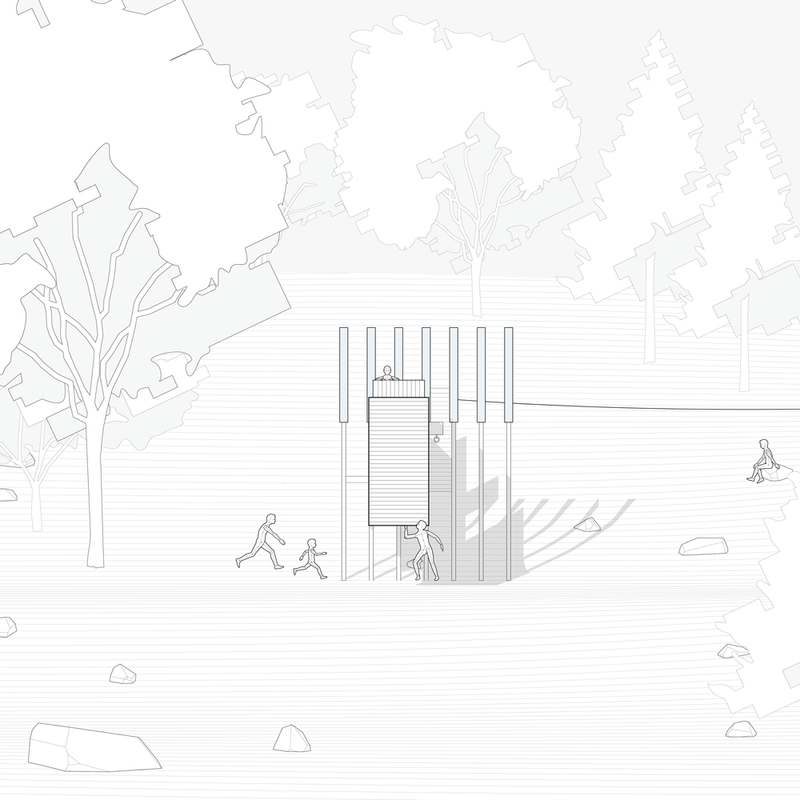 Designing a play structure intended for kids is a unique and challenging project. While there are irreducible standards that manage accessibility and function in the daily lives of adults, play is neither standard nor strictly functional. 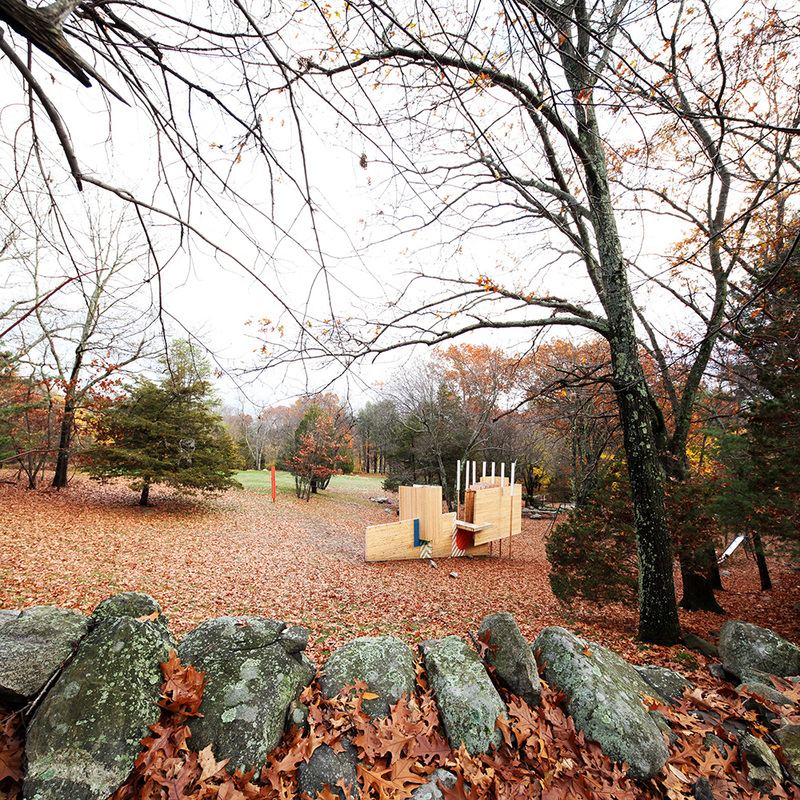 For this reason, these spaces are accessible to adults, but have been shrunk in order to slow the adults, liberating the kids to fly through the spaces. 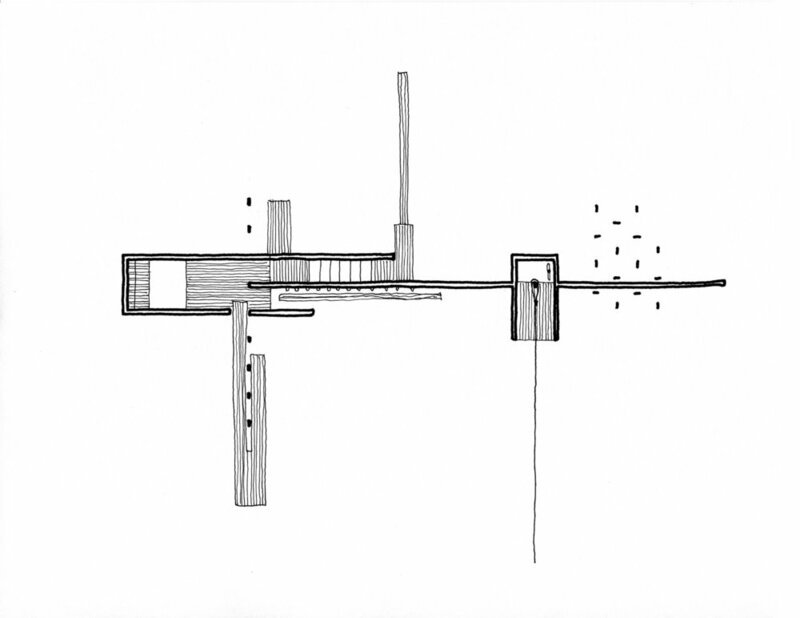 The project is also dedicated to imagination, resisting literal and singular readings. 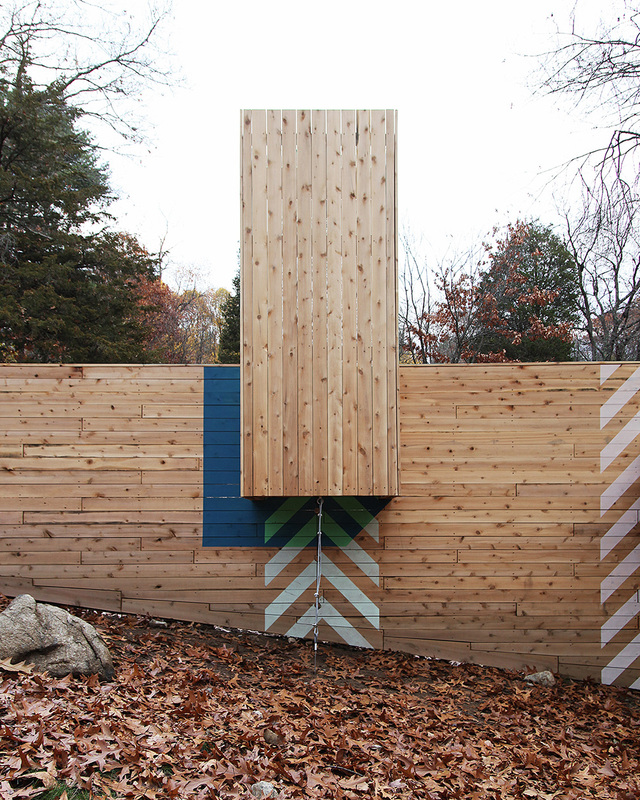 Twenty-foot tall vertical elements contribute to the structure at one moment, but extend into the landscape—from function to whimsy. The colorful graphics suggest entries and key moments, without overtly labeling them. 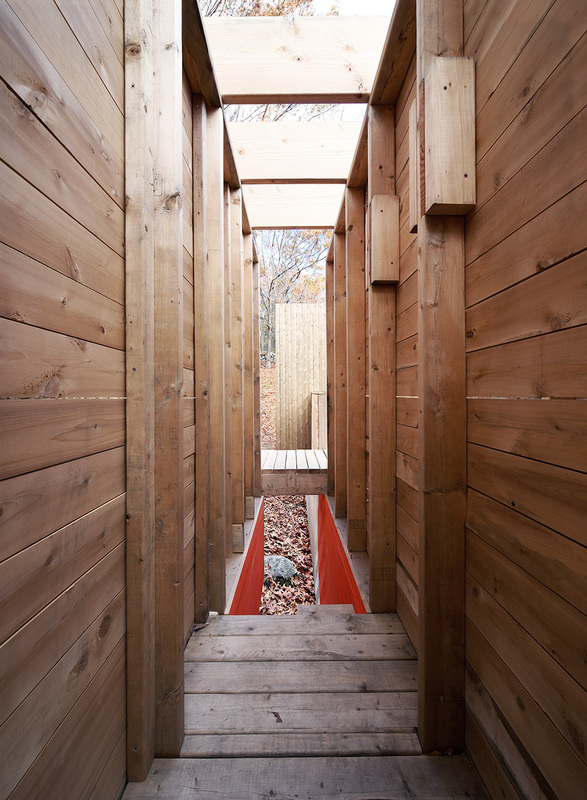 Pre-conceived architectural elements like doors and stairs do exist, but lead to nowhere. 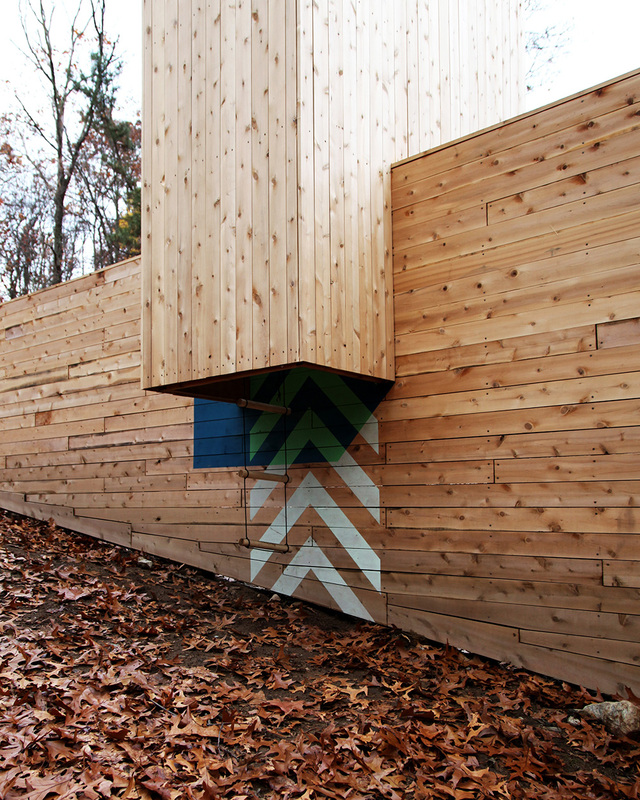 Thresholds are tucked under levitating volumes balanced on a single wall. 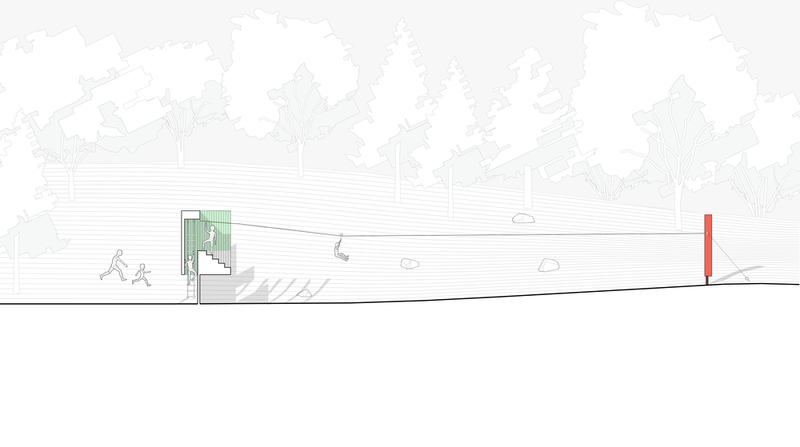 Another principle of the design strategy provides multiple means of access to any location. These decisions produce escalating challenges for the kids; mitigating risk and ensuring the correct age-range have access to the more treacherous areas instead of withholding them entirely. Older kids climb over while younger crawl under.